Hello everyone! It's been a (bit) long time since i posted my latest post. How are you there? Nice to see you again. Can you guess what's new from Slow On Blog? From The Hobbit: Lord of the Rings film that directed by Peter Jackson many people knows this beautiful heaven on Earth. 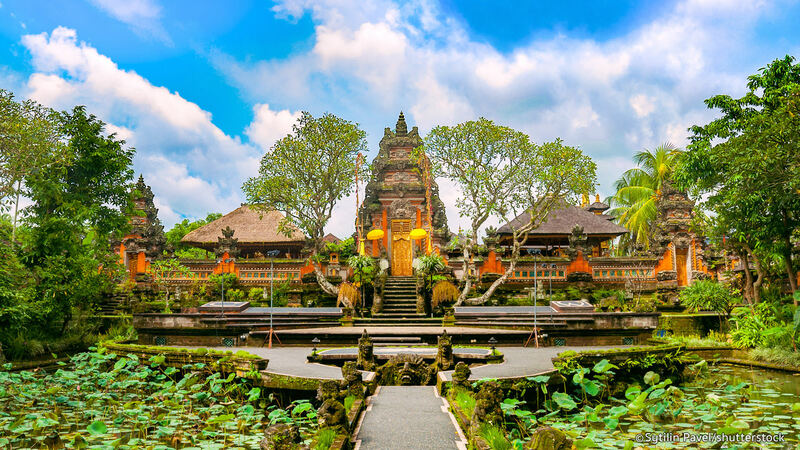 This is one of my travel bucket lists since I watched The Hobbit. 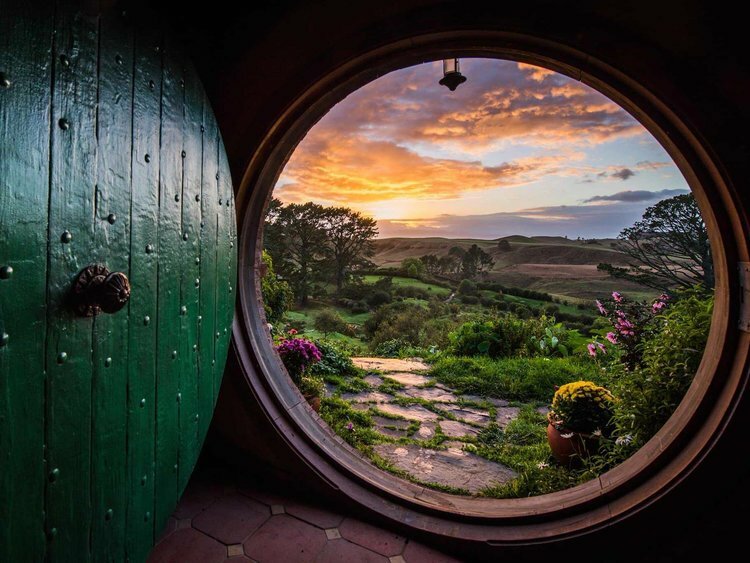 The Shire is located at the Matamata and placed in the heart of Waikato region. In this place there are 13.500 sheep’s and some Hobbit house can be visited. Hobbiton where you can breathe the fresh air from the green grass and trees. Hobbiton also has a restaurant that serves you wine and others beverages. An island that serves you a beautiful yet luxurious views from the hotel rooms. You can have many activities in this island. Swimming while snorkeling, canoeing, KTV, and many others. That’s how beautiful this heavenly island is. The place where you can see a lot of houses painted in white and blue colors near the open blue sea. This is awesome! 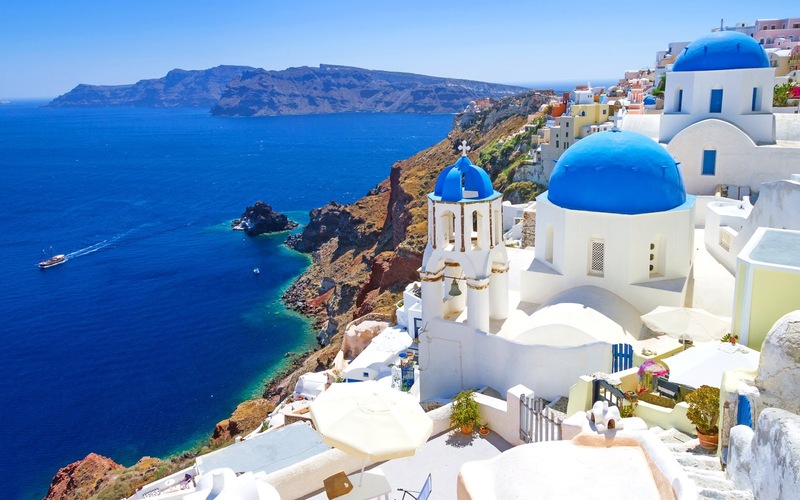 There you can have restaurant that serves vegetarian foods and in Santorini you can see an amazing black sands beach, there you can also have KTV riding for those who likes riding it while seeing great scenery. A place full of flowers, tulips are growing so well and endless in this field with various types of tulips and colors. 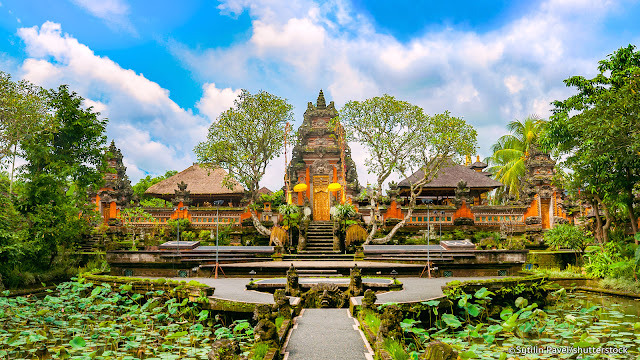 The first flower exhibition was organized in 1949 and until now. 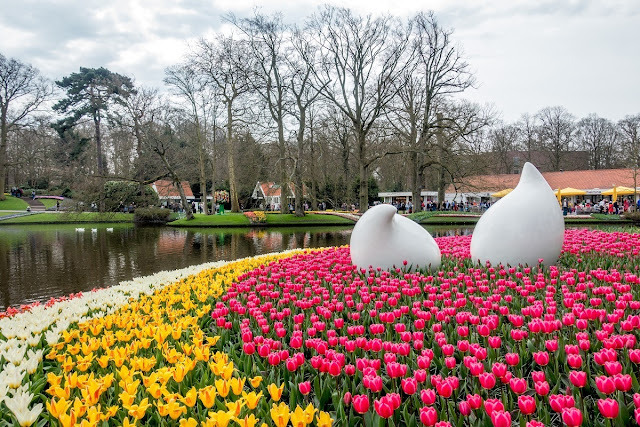 Keukenhof means kitchen garden. It’s a pretty place to visit indeed. Over 7 million tulips of 100 different species planted here. 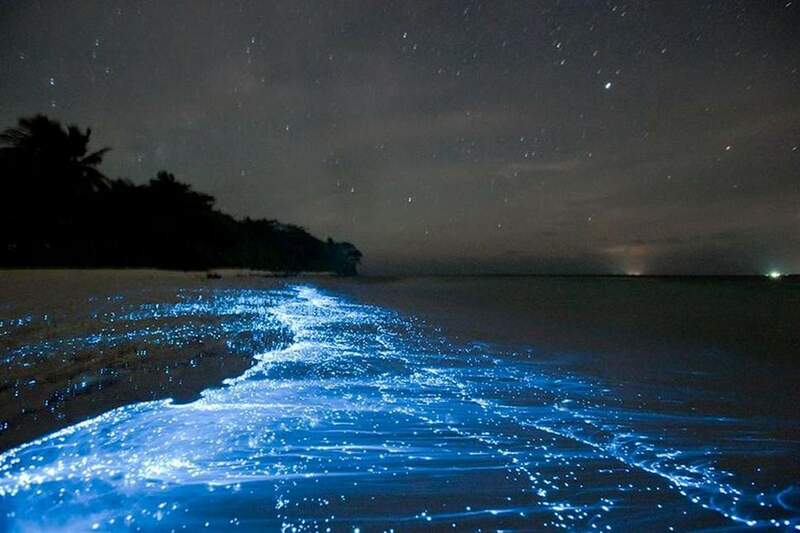 This is how amazing and wonderful glow in the dark beach on Vaadhoo Island, Maldives. As the sun goes down, you can see the waves glow with an eerie blue light. This amazing blue light is not magic but came from millions of plankton that have evolved to glow. It’s like a beach full of stars not sky. LOL. Furano is Japan’s largest flowers field. The first lavenders bloomed here 70 years ago with the hardworking of Tadao Tomita after failing some of the times. 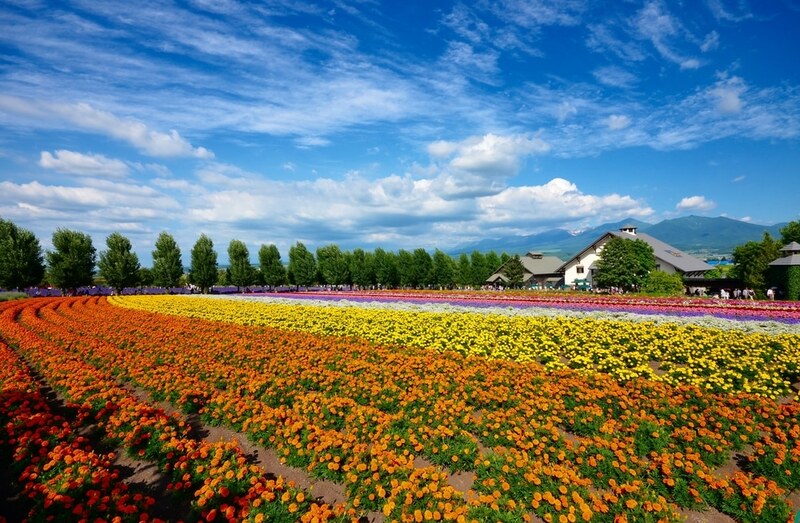 Furano is also a wine country that producing high quality of grapes. Lavenders grow from spring to summer while grapes harvest in fall time. This is how amazing the night sky of Abisko, Sweden. 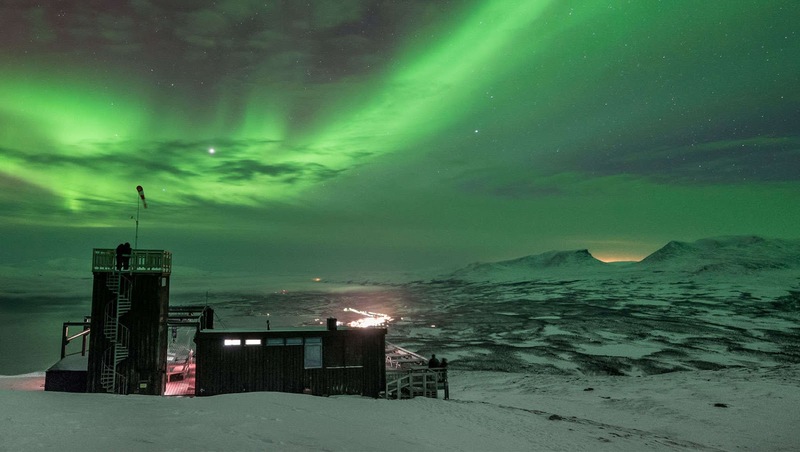 A sky filled with northern green lights that really work like magic. Many people come to visit Sweden just because they want to see how amazing Northern lights is. Is not easy to see that Northern light because sometimes they are not shining as bright as the picture. Northern light is also known as Aurora Borealis that really beautiful.